Focus clients give us top marks! “Thank you to the wonderful Focus on Mexico team~ together you gave us a tremendous amount of information in such a short time. 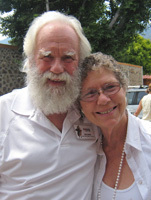 Your devotion as individuals to make sure we each got what we needed is a testimony to your love of Mexico, her people, and in particular the Lake Chapala area. We feel privileged to have spent week with a great group of people. I can see that those of us who make the move will develop a strong bond. The educational segment was excellent, much needed and much appreciated. I had not fully considered tax responsibility whether I live in the USA or not. The tax specialists were very informative. Investing in Mexico and information on the Mexican economy was enlightening and opened other considerations that, again, I had not thought of. The potential financial benefit is appealing. I especially appreciated “Alternative Health Care” and mainly because I hear/read so little of it at home. I will certainly investigate this further. “Survivor’s Spanish” was excellent and laid a much needed foundation on which to build at least conversational Spanish. ALL the outings were great. Ballet Folklorico was unbelievable. Honestly, I thought “Ballet? Oh great.” But it was a not-to-be-missed event. Thank you for including that. All of Sunday was excellent. I thoroughly enjoy walking to explore cities and seeing the open air markets, plazas, Tianguis were excellent introductions to Mexico, the people and their creative ways to make a living. Monte Coxala was a welcomed respite and came at just the right time in the week. The range of dining establishments was an excellent demonstration of the variety of restaurants available in the area. I think most of us expected simply restaurants serving Mexican food. I was tremendously and positively impressed with the warmth demonstrated by the Focus Team. From the time I got through Customs to the time that I went back to the airport, encouragement and warmth was consistently exuded. Not only that, but they were very helpful and stressed that they were available to help us 24 hours per day during our visit. So I already have friends in Lake Chapala and I won’t be going there alone!My Focus agent (Catherine Gonzales) was outstanding. She spent time with me one-on-one, answered my questions, made suggestions and said she would be on the look out for property that might work for me. Again the warmth and assistance was pretty amazing.I was interested in living in Mexico for lower cost of living and weather. I didn’t want to explore the country on my own and after extensive internet research, I chose Focus on Mexico to introduce me to the Lake Chapala area. Choosing Focus on Mexico was the best decision I could make. The value received was very much worth the price. They informed me of instances that would have taken me months to learn – – frustrating months that probably would have led to a return home. Focus on Mexico provided a wealth of information that I needed to know BUT I did not know that I needed to know! If anyone who reads this is considering an “exploratory trip” to Mexico, I encourage you to contact Focus on Mexico. If I had not chosen Focus on Mexico, I think it would have turned out to be a very big mistake for me. The educational segments were incredibly informative and helpful. I would never have found all this information on my own. All of the speakers were well organized, knew their stuff and were engaging. I especially enjoyed those who made us laugh – it helps us stay awake and engaged! I loved all of our fun outings. They were so varied that it’s hard to pick one favorite. The Ballet Folklorico (and the beautiful theater!) was definitely a highlight, as was the spa visit. I loved the Orozco murals in my first visit to Guadalajara, and found that the addition of a guide to explain something about them provided a meaningful new dimension to the experience. Everything in Chapala and Ajijic gave a fantastic introduction to the area. I can’t think of a thing you could do any better.I cannot believe the number of excellent restaurants and the variety of cuisine in such a relatively small city. You did a great job of introducing us to the variety that Ajijic has to offer and each of the menus seemed to have been thoughtfully put together to accommodate every whatever dietary preferences and restrictions people in the group may have. Wonderful all the way around!I cannot believe how absolutely warm, welcoming and wonderful everyone on the Focus team is. (Notice I don’t use the past tense, as I consider them all new friends.) We had to postpone our visit twice due to Maureen’s health crises, and never once did I experience anything but genuine concern about her and her well-being. Then, when we finally arrived, the warmth and caring continued. 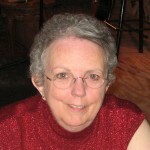 Liz is a wonder – kind, thoughtful, fun, always paying attention to each person’s needs. She makes it all look so effortless that it’s easy to forget she’s working. But, when you stop and think about how everyone feels that she knows them and is taking care of them, you realize how hard she works! 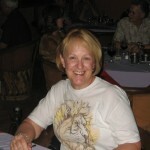 Susan is terrific – a joy to be around, thoughtful, helpful and fun. Liz and Susan together are a great team. And Ray and Marie….well, there aren’t enough kudos. They are both so interested in people and easy to talk to, and the fact that they sincerely offer to help everyone at each step of the process – it’s just above and beyond. Anyone who works in a service industry should be required to work for a while with Focus on Mexico to learn how it’s done. Catherine Gonzales is a fantastic resource. She was able to smoothly juggle the requirements of numbers of clients all of whom wanted to see lots of property at the same time. She is like all the other Focus Team members – smart, helpful, kind, fun and funny. Just an all around great and helpful person!If you couldn’t tell, I loved my experience with the Focus on Mexico program. It’s a great blend of education and fun – the description of it as a Learning Adventure is right on the money. It’s great to know that we can call on the team at any time with questions, we have resources to help us accomplish the move successfully with a minimum of hassle, and we can re-attend any sessions we want to as a refresher – at no extra charge! But, the best part is that I truly feel like we have a new set of friends in Mexico. I’m touching my gratitude rock and saying “Thank you” for being a part of such a wonderful experience. “Focus on Mexico provided us with a very cost-effective, thorough, and enjoyable experience.”All of the educational presentations were succinct, thorough, and useful in helping to complete the picture of Lakeside for inquirers–even after having spent five years doing our own research on the area.The trip to Guadalajara was especially memorable, with the Orozco murals particularly impressive. Ajijic’s tianguis, compared to Chapala’s market, was great! We really enjoyed the time spent visiting shops in Ajijic, and peeking behind the walls in this 450 year old village.The food was varied and delicious. We returned to Rick’s Early Bird Cafe, on one of our extra days, and I declared to all other diners that, after spending decades in my quest, I had just eaten the world’s best Reuben! Karen and Bill’s village (Ixtlahuacan de los Membrillos) welcomed us with a brass band (actually, I think that it was a typical evening in the plaza), and the restaurant was perfect.From the moment Liz greeted us at the airport, until she transported us back 11 days later, our Program Director did her best to keep us on schedule, and met our special needs with grace, tact and good humor. The whole team did a great job in making the week truly memorable. Liz’ emails prior to the trip were very useful in our planning. 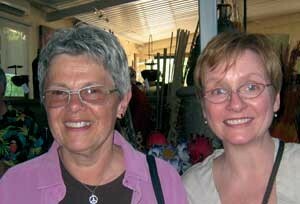 We are not interested in purchasing, and Catherine totally respected OUR “focus.” She was supportive and very helpful.Focus on Mexico provided us with a very cost-effective, thorough, and enjoyable experience. Your team and the Mexican people–our true hosts–were welcoming and warm-hearted, and were instrumental in making the kind of memories that will certainly influence our plans for the future. 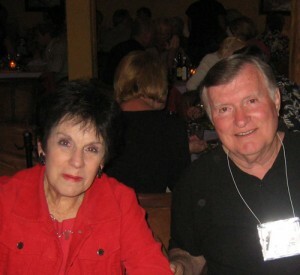 Joanne and I were on the Feb/Mar 2010 Focus tour and loved the area so much we coming back in July to experience the rainy season, as suggested!We had such a wonderful time! You guys just made us part of your family and we had such a magical group! We have told anyone we met thinking about retirement abroad about your incredible program.Best Wishes to all! “The program fulfilled the expectations created by the Focus On Mexico web-site.”Very thorough, detail oriented program designed to help potential expats move to Mexico in an efficient, low-stress way. The information was very comprehensive, the outings were interesting and fun and very informative. And we were shown a good representation of houses from lower to higher price ranges with a variety of features and with the positive and negative aspects of each property pointed out. The Educational Segment overall was very good. I especially liked Tere’s talk on Alternative Care and the legal system in Mexico by Jorge Luis Ramos Uriarte.I really loved our outing in Guadalajara, with the amazing Orozco murals. Ernesto was a great guide, and, even with all the excellent restaurants we went to during the program, I believe the restaurant on Tlaquepaque was my favorite.The Focus Staff was just great. Liz is a stand-out – we all loved her. She took such a good care of me, from scheduling an ophthalmologist to giving me eye drops. Kudos to Catherine, too.I really appreciated working with Catherine and Marvin. They were great in responding to my ‘do my own thing’ approach. And, of course I found the house of my dreams, put in an offer, and hope to have good news about it. The Focus Program is really excellent. I’ve already recommended it to people I met at Estrellitas B&B. It made John and me confident that we are making the right move. I’m also delighted to be working with Marvin Golden I have complete confidence in him. “I would recommend the Focus on Mexico program without reservation.”Your seminars answered more questions than I knew to ask! They were well-organized and professionally presented, and kept me engaged even when the topic was not something I was personally interested in (like driving to Mexico). Plus, they were fun, with lots of humor!The outings were all great and there’s NO WAY I could pick a favorite! We had plenty of time to shop and to take photos. The hot springs were heavenly! Of course, the Day of the Dead celebration in the cemetary was unforgettable…but so were the Orozco murals. You provided a perfect mix of experiences. The variety and quality of the food was excellent, whether at elegant NumberFOUR or at down-home Mom’s. Once again, I can’t pick a favorite, although the jazz at NumberFOUR was a special treat.Ten minutes into the welcome cocktail party I felt like I’d known you all for years – and our farewell dinner was like taking leave of family. Our small group had some special challenges which were handled with care, concern anddelicacy. Liz Verar is a jewel! I would recommend the Focus on Mexico program without reservation. As a single woman, I felt comfortable and welcomed. As someone with moderate financial means, I was treated no differently than were those who might have more money to spend. The program included something for everyone, and there was no pressure to participate on those who wanted to skip an event. Every care was taken for our comfort and safety. It was, quite simply, an incredible experience! “The overall program was just what we thought and wanted. Very informative.”We thought the overall program was very informative. We came here to get more info…and that there was! We were amazed at how the lakeside has changed over the past 4 years. The Chapala pier is so updated and clean! We loved the fact that Ajijic has a pier and walking available along the water!The food is of course amazing! What can we say about Manix? Super fun!! !You are a bunch of very knowledgeable people! Friendly, helpful, fun!The overall program was just what we thought and wanted. Very informative. The speakers were engaging and helpful. The food was amazing! We came home weighing less!!! Hats off to “real” food!! Thank you Liz! The best “keep you on time” director ever! We are so thankful for the new friends we made! “I would encourage anyone who is thinking about moving to Mexico to treat themselves to a Focus on Mexico week”The educational segment of the program was priceless and certainly well worth the cost of the trip. Kristina Morgan’s enthusiasm for the area was contagious and her overview was very helpful. And who wouldn’t be inspired by the volunteering opportunities after seeing what Walt and Nancy have done at Hope House! I felt very reassured by Dr. Garcia’s presentation on the availability and quality of health care in the area. The home tours were excellent, both the behind the walls tour and the new homes tour. I came away with a very good sense of availability for the dollar.Either they all served low calorie food, or the tours were designed to burn precisely the number of calories I ate each day. My weight didn’t change, but I certainly did enjoy the delicious variety of local cuisine. Manix was my favorite, but I’m sure it’s as much the experience as the food. Ajijic Tango was a big hit as well. How can I single out any one of this fabulous array of excellent restaurants?Liz is adorable and get’s the Oscar for her ability to herd cats with only a whistle and a lilting voice. She and Jimmy were most attentive to every detail I was aware of. Once I learned Manuel had been driving on every Focus tour since the beginning, I exhaled. He does, in fact, know the thickness of every coat of paint on every car in Ajijic. He was so gracious and good-natured. I loved the way various members of the team came to different functions and always seemed to enjoy being there. I’m guessing you folks call what you do “jobs,” but considering everyone’s demeanor, it seems there really should be a better word for it.This was the most pleasant educational experience I have ever had. I would encourage anyone who is thinking about moving to Mexico to treat themselves to a Focus on Mexico week. Whether or not you choose to move there, you’ll never have this much fun learning more than you even know you needed to learn just to make the decision. Excellent in every respect. I chose the Focus program to get answers to exactly the questions these experts addressed. Not only did they all answer my questions, but I now feel connected to a “team” of experts who will be there to help me make my transition into life in Mexico.I enjoyed ALL of the outings and found them a very well balanced break from the educational seminars. Can’t think of anything to improve. I just want to tell you that I’m very impressed at how Focus addresses the various interests and economic capabilities of the participants, particularly in the housing tours. I never felt my time was wasted even when I was seeing housing clearly not suitable for me. You all amaze me!Again, I thought your choice of such a wide variety of restaurants was very well thought through. Dinner at Casa Bullock was a very special personal touch. My gratitude stone is with me right now. Thank you.No, but here’s a funny little joke on me story. When the music started at Manix I was really offended that I had to almost shout to be heard by the person sitting next to me. I was so surprised that Focus could be so insensitive to the guests’ desires to converse. WELL! It didn’t take me too long to get it and I was up dancing, singing AND letting a strange man pour tequila down my throat! A great evening.You are all the greatest! I’d say Liz is worth her weight in gold, but she’s such a tiny little thing, she’s worth TWICE her weight in gold! Everyone was thoughtful, patient and willing to share their own personal stories of how they came to the Lake. I’m not really sure what a “testimonial type comment” is, but you can use anything I say. It’s easy to say the program was well worth the cost, but that misses the point of one of the unexpected delights of being with all of you – I arrived on 9/11 a total stranger to all of you and the Lake. I left just a week later feeling on my way to a circle of friends and a new home. “We couldn’t have asked for a more dedicated team of folks to take care of us. You guys are the greatest.”I believe the educational segment of the program is excellent-excellent-excellent. Volumes of information, laid out in a way that is easy to follow, and lots of fun to learn. Lots of thought seems to have gone into preparation of this educational “cruise.” Each day I looked forward to it; it was a lot of fun. Just filled my head with information.I loved every single thing we did, and I really can’t single out any one item. You guys kept us going and going like the Energizer Bunny. Our whole group was just a blast!!! From all the excellent restaurants we ate at, to the markets we visited, to the ballet and art museum in Guadalajara, the malls, it was an enormous amount of impressions on one to digest. All I can say is great time, great people, great place.I don’t think I could say anything but that the food every place we went was delicious, and others can attest to the fact I always cleaned my plate. But…You know there’s always room for improvement. Let me see now??? Hmmmmm? Loved it all, and then some!!! Thank you “Focus team” each and everyone of you for your attention to details on taking care of our group. We couldn’t have asked for a more dedicated team of folks to take care of us. You guys are the greatest. Thank you, thank you, thank you!Unbelievable experience. The whole staff are a bunch of up-beat, full of energy, most positive attitude people in one bunch I’ve ever met…all! I don’t want to keep being repetitious but that’s all there is to say about this program is it is genuinely the greatest. This is due to the fact that the whole team seems to really love what they are doing and it surely shows. “You know how to find excellent staff that not only get the job done but are just plain NICE. 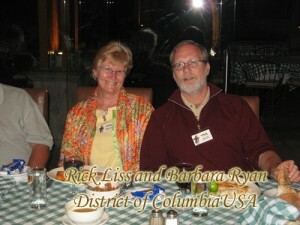 Thank you for a wonderful introduction to Mexico.”The educational segment of the program was very complete. The speakers were all engaging and well informed. Being a foodie, I would have to say the food was the highlight for me. Outside of our wine trip to Burgundy, France I have never had such consistently good food. The absolute highlight was at Cafe Bullock – the food the setting the piñata the stones made an experience to always remember!Everyone went out of their way to make our experience the best possible. Bill and I appreciated the effort staff made to let Bill rest and still be able to take part in most of the activities. I couldn’t believe it when a mattress top was brought to our room to make us more comfortable.I signed on for this gig with a little trepidation. 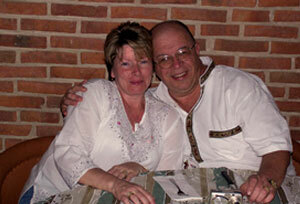 My fears ended when we were met at the Guadalahara Airport by Liz’s smiling face. We were in for one superb week! We arrived at the hotel (right on the lake) to find fresh flowers in our room. The first gathering was so warm and friendly we knew it was going to be good. A special thank you to Liz and Jimmy for all their kindnesses and to Catherine for all of the time she spent with us looking at houses. 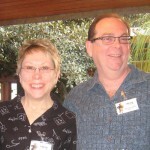 Marie and Ray have to be commended for being the creative force behind this program and having the courage to begin it. It is really a great program. You know how to find excellent staff that not only get the job done but are just plain NICE. Thank you for a wonderful introduction to Mexico. Judy and Jim Cronin, Aug- 14-21, 2010 You all do a fabulous job. 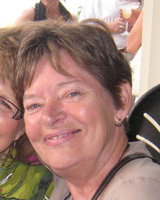 Marie´s genuine caring and spirituality were very moving. 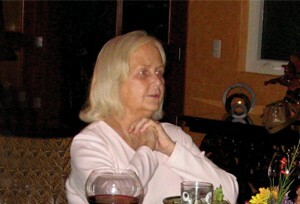 The friendshps we developed are priceless and the evening at Marie and Ray’s house was special. Liz is a treasure. Thank you all. Would highly recommend to anyone interested in the lakeside and have already done so! !The educational segments were excellent and very informative with a variety of Speakers well versed in his or her own field. The outings were very enjoyable and beautiful countryside. We particularly loved the Ballet Folcklórico and Tlaquepaque. Looking forward to visiting the Feria next February. 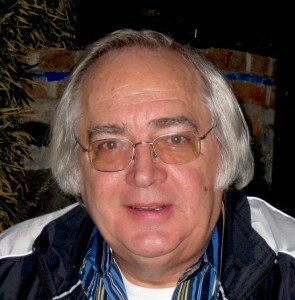 Manuel was wonderful – patient and very accommodating of Jack´s walking problem. Everyone couldn´t have been nicer! Liz, Jimmy and Marie were wonderful, and quickly became friends. What a terrific group of people. Everyone bent backwards to assist with anything we needed to know. I find it difficult to imagine and even more difficult to understand why the Mexican government has not yet awarded the Focus On Mexico Program.All the educational sessions were informative but some were simply more entertaining at the same time. Such was the case with presentations by; Kristina Morgan, Julie Vargas, Marie & Ray, Dr. Garcia, Nancy & Walt. I love the way you selected restaurants where at any time a person could enjoy vegetable or seafood or meat. It’s already been said a hundred times….and it’s still worth repeating. The food was delicious and the fellowship was unforgettable. The Focus staff was very caring and willing to go the extra step to support our needs. I find it difficult to imagine and even more difficult to understand why the Mexican government has not yet awarded the Focus On Mexico Program. It is responsible for importing many compassionate people to the Lake Chapala community as well as revenue and jobs for the local Mexican community. Marie and Ray, thank you for putting this wonderful program out there for us. I’m looking forward to coming back.All of the speakers were very good. There was a lot of info, and since I’ve been home, I have been reviewing what pertains to my situation. I’m very grateful for these segments. I enjoyed every place that we went, they were all different. I especially liked the tianguis and the walking tour of Ajijic. I really enjoy just wandering the streets and looking in the shops. Tlaquepaque is quite unique, and the Ballet was wonderful. I was very suprised that were so many different types of restaurants, and they were all excellent. My son asked if we ate at any good Mexican restaurants, and Tony’s came to mind. But I can eat Mexican at home, so I don’t have to come to Mexico for that.. I really liked Ajijic Tango; their Salmon was great. I’m a fish person. Regarding the Focus staff, it was nice to put faces to the voices of the staff I had spoken to on the phone. Everyone was very helpful and answered any question that was put to them. At first I was a little apprehensive about the program, being a single woman, knowing that it would probably be mostly couples in the group. But once I got there and saw there were other singles, it was a relief. We all had so much fun, as if we were friends already. Everywhere we went was a good time with Liz and Jimmy, who I felt so comfortable with. Manuel is the best driver; how he gets that van down some of the narrow streets, amazing. Marie and Ray, thank you for putting this wonderful program out there for us. I’m looking forward to coming back. The information that we gained has put us at ease about so many questions and doubts that we had. As soon as we get the house sold back home we will be on our way to the Lake Chapala area. It was way better than the cruise!! !The educational classes that were presented to us were excellent. The presenters were very professional, knowledgeable, interesting and gave us all valuable information that we will need when we come to Mexico. We were really impressed with the quality of all the restaurants and the food and service was fabulous. The steak house had the most wonderful baked provolone. Sure wish I could get that recipe. Marie and Ray are wonderful. They KNOW everything and handle it with ease. Liz and Jimmy are so special. Our driver Manuel was such a nice Mexican gentleman. Kristina with her beautiful voice and gorgeous sapphire blue outfit on the last evening was a real gem. Catherine, Paulette and Karen were all very helpful. We weren’t sure what we were getting into when we finally signed up, but we did it in place of a cruise we were going to take. I think my husband thought I was probably nuts but both of us are soooo glad that we did this. We truly loved the whole program, the Focus Staff, the other attendees, who we will always keep as new and special friends. The information that we gained has put us at ease about so many questions and doubts that we had. 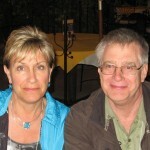 As soon as we get the house sold back home we will be on our way to the Lake Chapala area. It was way better than the cruise!!! “Worth every penny and would highly recommend to anyone thinking of moving to Mexico. I would be glad to talk to anyone that is thinking about attending the program. We are so glad we did. 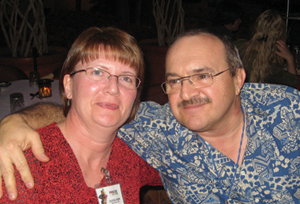 The program helped us make the decision to move to Mexico.”Awesome! Great information to learn about living in Mexico. Don’t reinvent the wheel. FOM has put a lot of time and years into putting together the necessary information for living in Mexico from buying, renting, taxes, residence status, investing, moving, etc. Worth every penny and highly recommend to anyone thinking of moving to Mexico. FOM also showed us the culture of the Mexican people. They are friendly and warm to everyone. We felt more safe there than in our home area of Phoenix.The topics that were of more interest to us were cost of living, US Taxes, Immigration, and working in Mexico. We do have the names of the people to contact that will help us with more questions and preparing our move. Over all I think everything was well planned and presented.The outings were much more than we expected. It gave us a chance to observe the people, what is available to us. The restaurants are fabulous as is the entertainment. Very well done to show us a variety of restaurants, shopping, and areas.The quality of the food was wonderful, lots of it, and looking at the menu very reasonable priced. Better prices than in the states for the quality. Loved the live music and being able to dance. And to think you could do it every night if you wanted to. Could not afford that in the states.The Focus staff was friendly, warm, caring, and loving. Could not do enough to make sure everyone was taken care of. Always making sure we had what we needed. Went above and beyond to get me something better to sleep on for my back.I would be glad to talk to anyone that is thinking about attending the program. We are so glad we did. 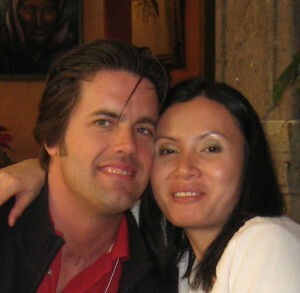 The program helped us make the decision to move to Mexico. Our home went on the market a week after we returned. 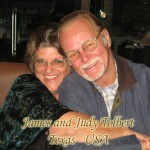 We owe it all to FOM and the fabulous program they gave us and the great education about living in Mexico. The people we met felt like family within a few days. We look forward to being part of the extended FOM family in the near future. This is a great program. It is run by real professionals. It is worth every dollar and minute that one spends there. The best money and time one can spend if you are planning on living in Mexico.The educational program was exceptional. It gave insights to every aspect of living in Mexico. The outings were great. They gave a good insight into the area and the type of life style one can enjoy. All of the resturants were excellent. First-class food and service. Ajijic Tango was out of this world. Super beef. How can you improve on such great food and atmosphere? The Focus on Mexico staff was great. They always went out of their way to find the answers to our questions and give us good information. This is a great program. It is run by real professionals. It is worth every dollar and minute that one spends there. The best money and time one can spend if you are planning on living in Mexico. “The Program is a huge value for the money!”Outstanding! Included much if not all of the information we came here to learn in order to make informed decisions re: moving to Mexico. Too much food! I have to pay for another seat on the plane! Great food, great company – 1st rate. The Focus Staff are warm, attentive to every need. Ana is amazing and Liz is going to be great. Often anticipated our needs before we knew we needed! Manuel is a master driver – amazing how he got that huge bus in such narrow places.The Program is a huge value for the money. Information, support system, overview of the area – and new friends! Who could ask for more? 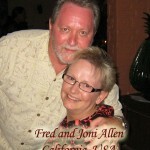 “If anyone is thinking of retiring in Mexico, please consider this program for your own peace of mind. “They supplied everything they promised, everything that we asked for and all kinds of things we didn’t even think to ask you (GREAT). I cannot imagine coming to Mexico to live, without having come on this program. The things you must know are all here. Every question is answered. Everything you may need help with, you will receive. But more than that you do not want to leave this beautiful place, especially the loving new friends be they part of the course or the extremely helpful and friendly waiter at our table who helped me with my Spanish, teased us and loved us because we loved his country and his people. If anyone is thinking of retiring in Mexico, please consider this program for your own peace of mind. “I would recommend this program and encourage anyone thinking about coming to Mexico to seek it out even if they were not coming to this area.”Everything possible was addressed in the educational segments, and any additional questions (however rhetorical) were also answered. The outing were fantastic. We were shown so much more than we could have found on our own. The food and entertainment was absolutely marvellous. I did not know that such delicious food was available. The music was wonderful as was the dancing. The Focus Staff were very friendly people, each one made you feel welcome and valued. I would recommend this program and encourage anyone thinking about coming to Mexico to seek it out even if they were not coming to this area. The fact that anyone who has taken the course is welcome to come back is a big bonus. “The program is worth your time, effort and money. When you said I would learn more than I thought, you were correct.”I could not tell you enough about the focus staff, everyone was the best, I could not have asked for a better team of people.The program is worth your time, effort and money. When you said I would learn more than I thought, you were correct. I would do it all over again. I have no regrets going on this trip. I got all the knowledge I need, and if not I know I can contact focus, and the friendships are priceless. I think we had the best group of people (of course). I would like to thank again all the focus team members for the best time and can’t wait till I move there in a couple of months. Yes my mind was made up in two days this is were we are going to retire! So see you then focus friends, we will keep in touch.All staff was well prepared and very helpful. Karen Kean needs a special AT-A-Boy. Without her we would not have accomplished our goal. “The program covers every aspect of life in Lakeside, immigration, financing, everything you can imagine and MORE.”The seminars were so educational that I can’t imagine anyone thinking of coming to Mexico without taking this seminar – Visas, financing, how real estate works in particular were so informative.I wanted to see what’s out there and it fits the bill! Lakeside is out of this world, Tlaquepaque makes a great outing. Guadalajara being so close to Lakeside it was a must.Each restaurant was different and the food was always excellent – I had a lot of fun everytime, including dancing.The Focus Staff bent over backwards to accommodate any needs I had. For instance, I had oral surgery in Guadalajara with a private driver who waited two hours for me. Another staff member took me to visit several assisted living facilities because it is my business in the U.S., another showed me houses, etc.The program covers every aspect of life in Lakeside, immigration, financing, everything you can imagine and MORE. You can ALWAYS count on Marie and Ray Bullock and their staff…they will be your friends for life. You are also in contact with a lot of people who have made the move = All will help you. Excellent! The amount of practical information EXCEEDED my greatest expectations. I can’t think of anything that you overlooked. I came away with a new appreciation for all that Mexico offers. The program was great and the speakers were very knowledgeable and professional in their particular fields. I plan on reviewing all the information again when I get home.With regard to all our outings: Such beauty. I felt like I was in a continuous garden all area town. The Guadalajara plaza was especially interesting as was Tlaquepaque’s plaza. Manuel did a superb job driving us different streets each time, giving us a good view of the tour of Ajijic.The food was absolutely great. I told my wife I didn’t have one bean in those eight days (beans and rice are the norm back home here). I have never tasted such consistently great food over an eight day period as we had at those restaurants. Also liked the atmosphere of them. (I never knew how great were the places “behind the walls.I have never experienced such a loving and caring group of staff members as you have. Ana and Liz were exceptional. The most informative and caring people I have ever met. Some like each of them would get to the ends of the earth to meet our needs. Very professional and knowledgeable.In all of my travels I have never enjoyed eight solid days of fun and information such as you provided for us. Thank you so much for the time and effort you put into Focus on Mexico. This week has been one of the most enjoyable experiences I have ever had in all of my travels. Would recommend it to anyone weather or not they were considering a move. It was like taking a A Learning Adventure in Mexico on Mexico. All that one will ever need to know in a few short days, thank you. And, nowhere in our travels have we been to such a small area with such a variety of outstanding restaurants and dining. Each with its own specialty, the Mexican food and music is another thing all by itself. Meeting the Focus Team was like going back home to family you’d never met. Each one just eager to spoil you. Our purpose on visiting Mexico was either to spend long periods or perhaps to live here, but the question was how to do it – Well!!! – It would take an evening’s Conversation to tell anyone about the small group called “Focus on Mexico” the energy, the enthusiasm, the warmth the help and guidance like no one else will ever to be able to do, was enough to help us decide this is where we want to be. The Focus Team spent years gathering all of the information that was shared and have taken the fear and guess work out of retiring in Mexico. We highly recommend this program. They have left no stone unturned as far as covering every aspect of the legal and medical questions you might have as well as covering all of the services available here; the real estate tour was very interesting.Very fun outings!! The Ballet Folklorico was amazing! The thermal baths at Monte Coxala were magical, walking along the Malecon and shopping at the Tianguis was priceless; you realize how special the Mexican people are!! very loving and welcoming!We have been on several vacations and done a lot of fun things but this was by far the most fun we have ever had! The Focus group did a great job taking us to a variety of fabulous restaurants. Everything from a wonderful burger to elegant dining and everything in between. We even line danced! It was a first for us.The entire staff is amazing! They went above and beyond making us feel welcome and comfortable; they treated us like family. They are all very professional and thorough as well. Every one at the Focus staff will forever hold a special place in our hearts. They are a large part of why we look forward to making this our home.There is no way short of spending a lot of years in Mexico that you could gather all of the information the Focus Program offers you. 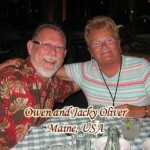 It is invaluable as a resource if you are considering retiring in Mexico. If you are listening to all of the negative media about Mexico and wondering why anyone would want to live here, Focus on Mexico will erase your doubts and fears and educate you on the truth about Mexico! It is magical! !Fred Allen: The information provided was so complete, you could tell that you spent allot of time developing the program to insure every area was covered. There would be no way to be able to collect all the information by ourselves and to be able to have the links to the professionals that know.The program was everything we expected and more. We never could have obtained all this information if we were there for 6 months. The program supplied the necessary information needed to make an informed decision if Mexico is for you. With all the learning going on, there was still time for fun, seeing the Lakeside area, shopping and did I mention the great food. Thank you Focus for a great time filled with a good mix of knowledge and relaxation. “The educational portion of the program was very encompassing. Being an old Economics Student I expecially appreciated Erika Torres, who obviously “knew her stuff!!! 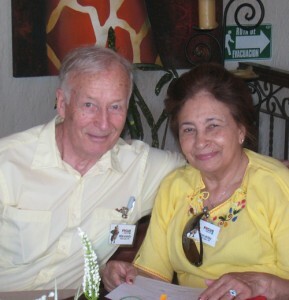 !”My sole purpose in attending the Focus on Mexico Program, was to obtain information concerning living in Mexico and the possibilities of using the Chapala Area as, either a part time or full time retirement situation. You gave us a well defined variety of information. At this point, I am still thinking. I wished we could have seen more of the area, rather than just Ajijic Town. But I felt overall I received “my money’s worth”…and as I have said being the Irish-Scotch woman I am I would tell you otherwise, if that were not a true situation!!! Every presentation was loaded with valuable information delivered by impressive people. We know we can’t retain everything covered, but we understood with clarity the total concept of each presenter. We know now that we have friends who have great connections, and through Focus on Mexico we have the confidence to successfully be a part of the Mexican community. We have made enduring friendships with every member of Focus and also every member of our group. We can’t believe how Focus on Mexico enriched our lives. It was the best thing we have ever done for ourselves. 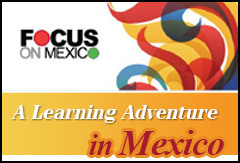 If you are interested in moving to Mexico, please sign up for Focus on Mexico it is a definite must. I can’t say enough good about the program. Dinner at Casa Bullock, we had great views, great food, a piñata, (I think Ray & Bill had too much fun with the ropes), wonderful food, the home was so inviting we had part of the party on the terrace, part on the upper deck, and moved to the dining room. We had three Focus alumni couples who gate-crashed; they couldn’t resist the chance to meet some future neighbors. It sure did add to the fun. We graduated, we got a grateful stone as we moved to the patio, and then we said our goodbyes. I’m a little teary right now. But with a little luck Espero que pueda verle pronto. The perfect end to a perfect program. The topics covered all the questions I knew I would need answered if I was going to relocate to Mexico. I had so many questions, and, voila, they were answered. The verbal presentations were accompanied by written materials so we could review and relive once we returned to our homes. Healthcare was high on my list of information to glean and I was very pleased with the comfort level I was at when all was said and done. Health care in the lake area seems to be very cutting edge and reasonably priced. Every question any member of our group posed was either answered on the spot or the answer was researched and shared later. Great! This is the type of information you really need even if you are not going to move to Mexico full time. Thanks, Focus!Focus on Mexico is the most phenomenal program to anyone interested in Mexico and the Lakeside area in particular. The daily meetings with the Focus staff and local experts answered all the questions you may have and all those questions you didn’t even know you had. Every detail for my visit was elaborately planned. Nothing was left to chance and I was thoroughly entertained and informed almost every minute of my visit. Marie and Ray and their hand-picked staff guide you through visas, legalities, driving, groceries, real estate, health care, investing, cost of living, and on and on and on. Oh, did I mention the perfect recipe for the perfect margarita!!! Come down to Mexico and join a Focus on Mexico group. You’ll be glad to did.Very, very, very informative. I could never have learned all this info on my own. Outings were great, varied and really fun.The Focus Staff was perfecto! My eight fellow participants were terrific as well!!! I hope to see them again in Ajijic. Just knowing that all of you are an available resource for future questions is a very big plus! Gracias! The choice of topics and speakers for the educational segment provided an excellent overview of what one needs to know if considering a move to Mexico. For anyone contemplating this as a possibility, this is a “have to have” prerequisite. Individually, the speakers were extremely knowledgeable and interesting, providing up-to-date information. The Focus on Mexico trip provided an immeasurable amount of mandatory information necessary to fulfill a smooth transition to living in Mexico. We now have a wealth of resource material to refer to and many contacts to assist us in our future plans. Whether considering a complete move in the near future, a rental period for a short duration, or an eventual move to Mexico, the Focus on Mexico week provided a fabulous summary of all you need, and must, know. It answered all our questions and gave us a fabulous taste of Chapala/Ajijic. 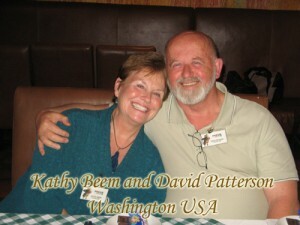 We had a wonderful time, met many terrific people and new friends while learning to love the area and its people. What more could there be?! 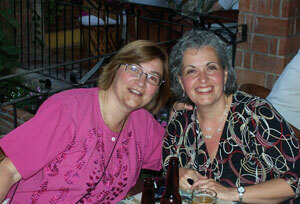 Ray, I wanted to let you and Marie know what a wonderful time we had at the Focus on Mexico program 2/21/2009. The material was fantastic and well balanced with fun. I was greatly impressed with all of the people working with you. Marie was great, Ana was a delight, Kristina was a joy, Karen and Bill kept us laughing, Tere was very pleasant, I really enjoyed Dr Garcia, Meme Thorpe, and Jorge Uriarte the Notario. I could not ask for a better situation with the Real Estate people that work with you. They were very courteous and I never once felt pressured. The restaurants were amazing, the overall atmosphere was stimulating. You told me that some magical things happen by the end of the week. You were right. Ail and I fell in love with Mexico and Ajijic in particular. The entire Chapala area was beautiful, with beautiful people. This was the first vacation I have ever taken where I was not anxious to get back home to Austin, TX. Ajijic really felt like home. I will gladly recommend the program to anyone interested in a better, friendlier and less complicated life. We are planning to get back down there for a couple of months starting around July 15, 2009. I would be pleased if we can get together when we are there. Thanks for everything, If you ever want to have anyone call me about the program, I will give the same glowing report.I feel the outings to look at real estate were most meaningful to get a feel for the true cost of living in Mexico. The shopping around Guadalajara was my wife’s favorite. The restaurants we visited were magnificant.Everyone was wonderful. Ana was a delight, Kristina was extremely helpful, Tere was very pleasant. 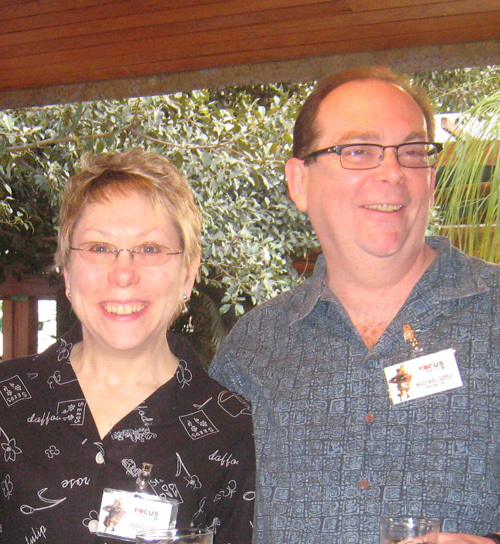 Ray and Marie were a joy to be around and full of valuable knowledge. Bill and Karen were a hoot. Everyone down to the bus drivers were fantastic. I cannot say enough good things about the staff.The educational portion of the program was excellent. You addressed the questions about a move to Mexico and set me at ease. I really liked the information about the Medical establishment in Mexico. That answered a big question for me. The program was well-balanced with information and fun trips. It was the only trip away from home where I was not anxious to return home. I could have stayed forever and hopefully that will be reality in the near future. Your Focus staff was really the best part of all! The people involved with the program is what made it all worthwhile!! 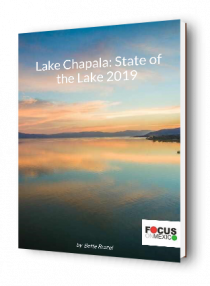 When I set out do research on Lake Chapala, I felt that I had struck gold when I discovered the Focus on Mexico web site and their 8-day program offering. I really wanted to find a source of accurate information in one spot that would save me the grief of wasted time and bad information. I still had reservations about getting what I needed from the program up until we arrived in Lake Chapala. However, a few days into the program I realized that I had made a wise choice. I was able to interactively learn about all aspects of moving and living in Lake Chapala from a very reliable and trusted source…..all in one spot (so to speak)! It was a blessing! Very informative. Enough info and not being overloaded. Enjoyed all the topics, they were all important. As former alumni I just wanted to commend you for all the positive changes in your program. The Focus Staff is # 1. Fantastic and fun group of people. Everybody looked after us very well. Special thanks to my special friends Manuel and Ana. Ana consistently went above and beyond to assist everyone not only on conference activities but personal as well. The format for the program was perfect. The outings and real estate tours were fun and also allow us to put things into perspective, i.e. resale vs. new development and different price ranges. All the staff are very friendly and helpful and a lot of fun. Special thanks to Ray and Marie for spending extra time with us related to our personal situation. Thanks and congratulations to Ray and Marie for finding their way in life and attempting to help so many others find theirs. I wish you all many years of health, love and success! Anyone that has any idea of moving to Mexico must take your program. 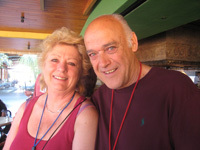 “We…highly recommend the program to any one interested in vacationing or living part time or full time in Mexico.”/uploadedImages/Testimonials/Bill-Brandon,-Alumni-Dec-08.jpgMarie and Ray – Outstanding Program. 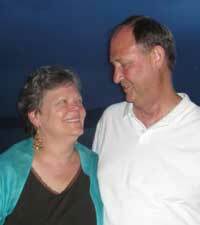 Connie and I enjoyed the experience we had with the Focus on Mexico program, and highly recommend the program to any one interested in vacationing or living part time or full time in Mexico. The decision to spend time in Mexico part time or full time is a subjective one, and key factors in my opinion are weather and economics. Living in Mexico is certainly much less expensive than living in the the US and Canada. I could donate my pension plan to charity and live on Social Security in Mexico Your entire staff is very professional, and Connie and I were extremely impressed with Ana, who is as you know is as honest and as genuine as a person can be.The classes, tours and restaurants were excellent. We thank you again for your professionalism; you are extremely organized and on the top of your game. Keep up the outstanding work that you are doing in helping people to find their slice of paradise. “I feel like I found my heart, soul and true essence in Mexico and in no small measure due to the friendship and intimate sharing with almost each and everyone of you.”Educational Segment: I felt it was all very well presented succinct and amazing. Co-presenters obviously picked with love and attention to the best the area has to offer. Outings, Lakeside and Guadalajara and Tlaquepaque: Casa Fuerte is by far the best overall meal I have had in my life!!! I thought all of the outings were fun and timing was good. Food and Entertainment: All restaurants for lunch and dinning were delicious food selections varied and the dancing so much fun. You know I had a strong reason for fun (our waiter in Manix). Focus Staff: Ana – mi amor, mi amiga is the best!! 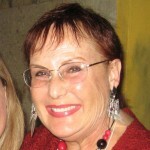 I miss Tere – she is very unusual and interesting to talk to. Kristina – what a doll and so knowledgeable and such a grande corazón. 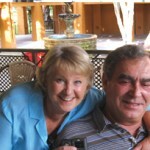 Manuel – mi amor and amigo, the best, the best, the best and fun to dance with too!! 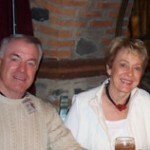 And Ray and Marie – I believe you are the best, most thankful, intelligent and fun hosts one could ask for. Comments on Overall Program: Absolutely even more than I was expecting – so professional, informative, and fun— quite amazing actually!! !What does one say when they have a truly “life changing experience” — gracias, merci, danke — just doesn’t seem to cover it. I feel like I found my heart, soul and true essence in Mexico and in no small measure due to the friendship and intimate sharing with almost each and everyone of you. I appreciate from the depth of my being the opportunity to discover, once again, my true Goddess nature and “stand up comedian alter ego”. It was fun to interact with each of you from the glorious hugs and sharings with Kristina and Ana, the lewd stories (you heard it right) with Los Amigos (aka Antonio and Roberto), the special afternoon out by the pool with darling Reagan, all the dances with everyone, tramping up and down those damn escaleras on the real estate tours, all the fabulous meals and experiences shared over the eight days, etc.Geez, this is becoming a novel — anyways you all get the idea — I LUV EACH AND EVERYONE OF YOU WITH ALL MY HEART…and hope to see you back in Ajijic sooner rather than later.A BIG thank you Karen, and a big, warm THANK YOU to all the Focus on Mexico staff and participants for making the week a very memorable experience!! 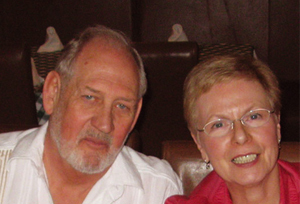 Note: Walt and Nancy came to Lake Chapala in January 2006 and although it was not their intention, they purchased a home during the few days they were in town, in fact our home. I had the good fortune to meet them while they were here and since they were interested in learning all they could about the area, I directed them to our Focus on Mexico website. Here is what he wrote me after viewing it. “We are so thankful that we followed our instincts about the down-to-earth sincerity and integrity of our Focus tour guides! Through the Focus staff we gained knowledge and also friendship. Bernie and I feel that we are so much better prepared to make the move to Mexico because of the amount of information that was provided by the Focus staff and the experts. We also know that we have you all as resources for our future as we may need it and that is so very reassuring for us. The staff gave us more than knowledge though. You gave us caring, compassion, wonderful smiles and great hugs! We truly appreciate everything that you all did for us (nothing seemed to be too much) and the fact that it was done with such joy meant a lot. Every one of you is very, very special to us and we are looking forward to seeing you again soon. Margaret Van Every, 2007 10-Day 20 Mar to 29 Mar“I would definitely recommend your program to anyone considering moving here. It spared us making numerous costly mistakes!